This newly renovated office building is home to businesses and retail stores. Located right on Route 202, nestled against the Contoocook River, the building combines easy access and great visibility with New England charm. 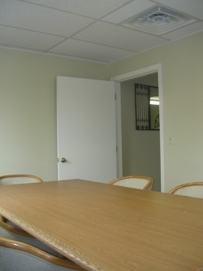 All offices are DSL ready, and many can be re-arranged to meet your specific needs. Currently, the lower level offers two office spaces (400 square feet and 900 square feet), plus a completely furnished 400 square-foot training and conference room. The street-level floor contains office and retail spaces ranging from 340 to 1000 square feet. 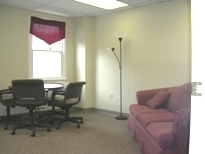 It includes a 200-square foot conference room. 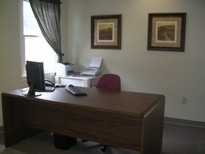 The upper floor contains 13 individual offices ranging from 200 to 450 square feet. The first two floors are handicap accessible. The building has multiple parking lots to handle more than 60 cars. All parking spaces are close to the building. This is a smoke-free environment. References and security deposit required. Fill out an application now or sign up for our waiting list . We'll let you know as soon as space becomes available.